Wales is intrinsically linked with the folk music derived from the Celtic traditions in Scotland and Ireland. Welsh music is also wonderfully distinctive, with songs and instrumentation often heard at folk-dance sessions, folk festivals and a traditional party known as noson lawen. At Coach House Pianos, we love music of all kinds and being based in Swansea has given us a deep-rooted love of the traditions and history of Welsh music, which we’ll be celebrating in part one and two of this blog. Welsh music is very heavily associated with male vocal harmonies, such as the Treorchy Male Voice Choir and the Cardiff Arms Park Male Choir, both of which enjoy a considerable fanbase in countries all over the world. This kind of choral singing is often associated with sporting events, particularly when it comes to rugby. The first example of this occurred in 1905 when the national anthem of Wales was sung before an international match. Brass bands have been a part of Welsh culture, particularly in the South Wales Valleys, since the Victorian days. Groups such as the Cory Band are renowned on the international stage. The 20th century saw many Welsh solo singers achieve international star status. Artists such as Ivor Novello, a singer-songwriter during World War I, and opera singers Geraint Evans and Delme Bryn-Jones who found fame after the Second World War. The 60s also saw two hugely successful Welsh performers rise to prominence in the form of Shirley Bassey and Tom Jones, both of whom went on to define Welsh singing styles for generations and are still hugely popular today. In the 1970s the likes of John Cale and Mary Hopkin followed the trend set by Jones and Bassey, followed by Shakin’ Stevens and Bonnie Tyler in the 80s. Wales has been using music as a vessel for expressing feelings and using them as a cathartic form of communication for centuries. Examples of finely honed, vertical harmonies have been uncovered from as far back as the 1600s. The oldest known songs from Wales are those which tie-in to seasonal traditional such as the Mari Lwyd or Hunting the Wren, both of which contain ceremonial processions. Other such examples are songs connected to New Year’s Day, and the welcoming of spring, in which a traditional hot mulled cider was followed by dancing and eating. Many of these time-honoured folk songs lay dormant for many years due to the prominence placed on the English language outlined in the Act of Union, and the ascendancy of the Methodist church, who disliked traditional songs, music and dance, although a good deal of it influenced religious hymns. Traditional Welsh music began to disappear during the 18th century due to the rise of nonconformist religion which favoured choir music over the use of instruments. This was because traditional styles were considered immoral, due to the close association with celebratory events that permitted feasts and alcohol consumption. The development and popularisation of hymn singing in Wales is largely down to the uptake in the Methodist religion during the 18th century. Some hymns were made fashionable by the writers of the day, while others took inspiration from secular tunes or adopted Welsh ballads. The 1860s, saw the formation of the National Eisteddfod Society and the London-area Welsh Societies. This along with the release of Nicholas Bennett’s famous Tunes of My Land compilation in the 1890s helped to revive the ailing tradition of Welsh music. Although choral music by Welsh composers in the 19th century was mostly religious, there was a steady stream of secular songs in production. Composers such as Joseph Parry, whose composition ‘Myfanwy’ is still a popular favourite, were followed by David Jenkins and D. Emlyn Evans, who created work to appeal to a Victorian audience. More recently, in the twentieth century, Wales has produced a large number of classic and operatic solo artists of international acclaim, including Katherine Jenkins, Charlotte Church, Wynne Evans and Aled Jones. After the Second World War, two influential musical institutions were created, the Welsh National Opera and the BBC National Orchestra of Wales, both of which saw contemporary composers move away from choral compositions to instrumental and orchestral creations, which explored religion and the mythical and poetic past of Wales. 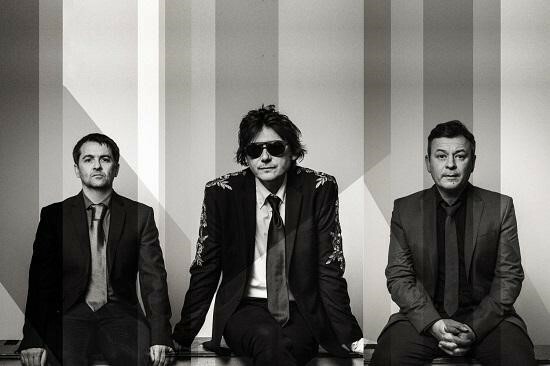 From there, many Welsh bands, such as the Manic Street Preachers and Stereophonics came to the fore, along with bilingual bands such the Super Furry Animals who helped to bring the Welsh language to a largely English-speaking audience. Wales has a considerable and varied musical past, and at Coach House Pianos, while we may be biased towards the piano, our passion is to celebrate music in all its forms. If you have any questions about our range products or anything we’ve mentioned in this blog, why not give us a call or visit our Swansea showroom, where one of our expert staff can offer advice and support.